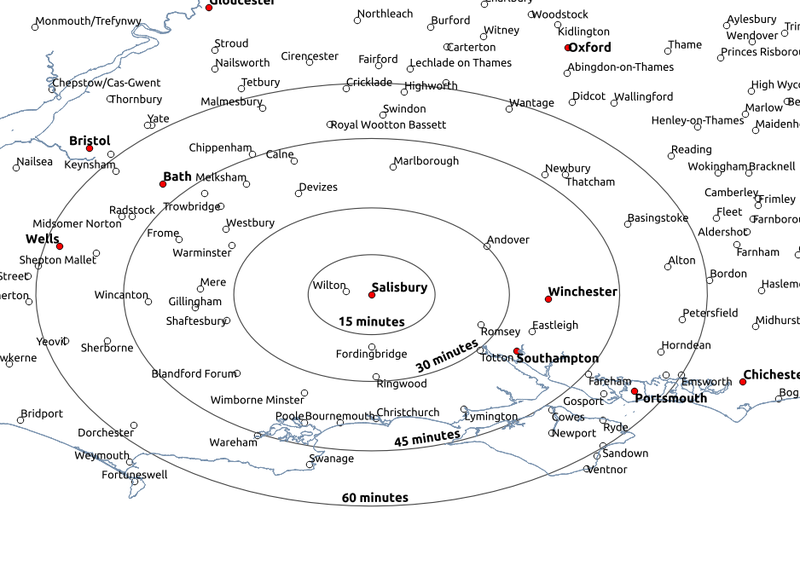 A map showing the efficiency of driving from Salisbury. 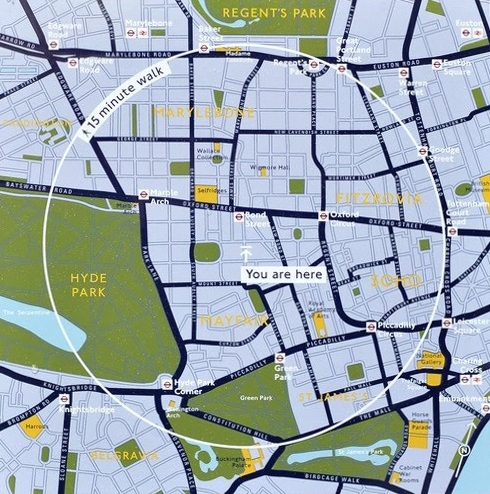 When you ‘just want to get away’ where should you go? Somewhere blue. If my pet crow (let’s call him Sow) leaves Salisbury, how fast would he have to fly in order to arrive at the same time as someone driving? 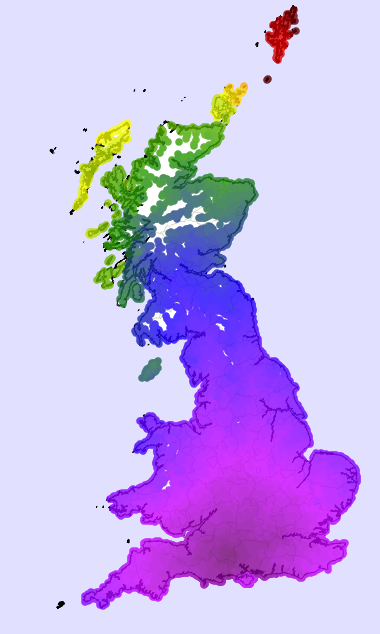 This map shows crow flying speed, with red being slow (12 kph) and blue being fast (84 kph). 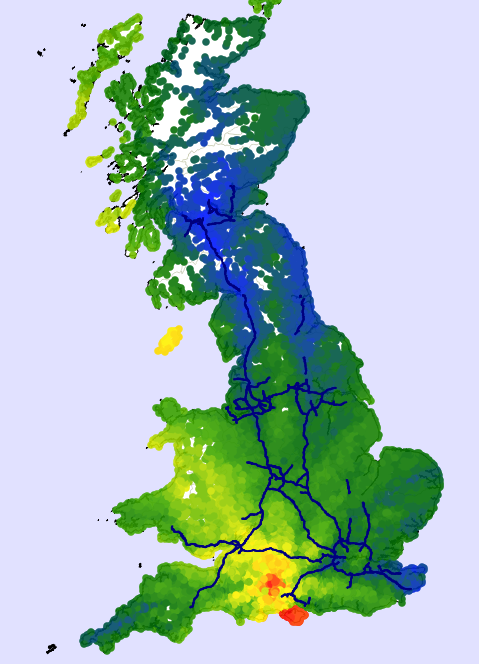 This shows us that the motorways (in blue) are a pretty efficient way of travelling long distances. Sow (the crow) and I were surprised at how efficiently you could get to Cornwall. 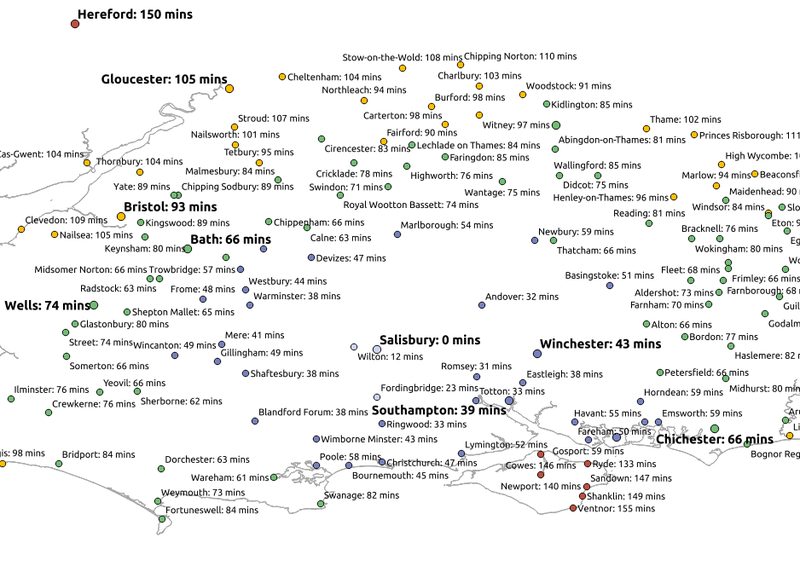 The A303 and A30 (shown in green) must also be efficient roads – they go in a straight line South-West from Salisbury. I have not taken traffic into account — I suspect that Sow would beat any car on these roads on a bank holiday.